Sometimes called the “bronzeback” for its color, the smallmouth bass is one of the strongest fish for its weight. Many anglers who hook a 2-pounder will swear it’s twice that big until the fish is in the net. Smallmouth are native to the Mississippi River watershed. They are abundant in warm southeast Minnesota rivers, central Minnesota lakes, and in northern waters such as Lake Vermilion and big Boundary Waters Canoe Area Wilderness lakes, where the species was introduced in the late 1800s. Smallmouth bass look similar to their close cousin, the largemouth. Often they are found in the same waters. Smallmouth usually related to rocky breaks and shorelines while largemouth relate to shallow weeds. To tell the two apart, look at the closed mouth. If it extends only to the middle of the eye, it’s a smallmouth. If it goes way beyond the back of the eye, the fish is a largemouth. A leech and a bobber works especially well on Vermilion for bass. Jerk baits, tube jigs, curly tail grubs, and spinner baits along with top water baits round out some of our favorite lures. 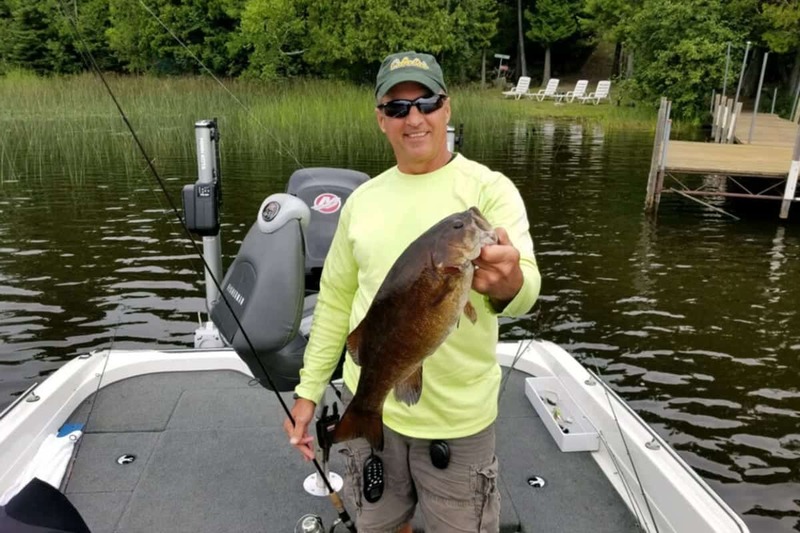 The Department of Natural Resources lake report indicates Lake Vermilion Smallmouth Bass in the sample were “well above past average” size, with average size tending to be larger in East Vermilion. Over the past decade we have seen an 18″ smallie go from being considered “special” to just a warm-up. It takes a 20″ bass to find your picture on the Everett Bay Lodge Wall of Fame – and we are seeing our fair share of them. While the majority of Minnesota limits Smallmouth Bass fishing to catch and release between May 11-24, 2019, and again after September 8, 2019, Lake Vermilion does not fall in this category. 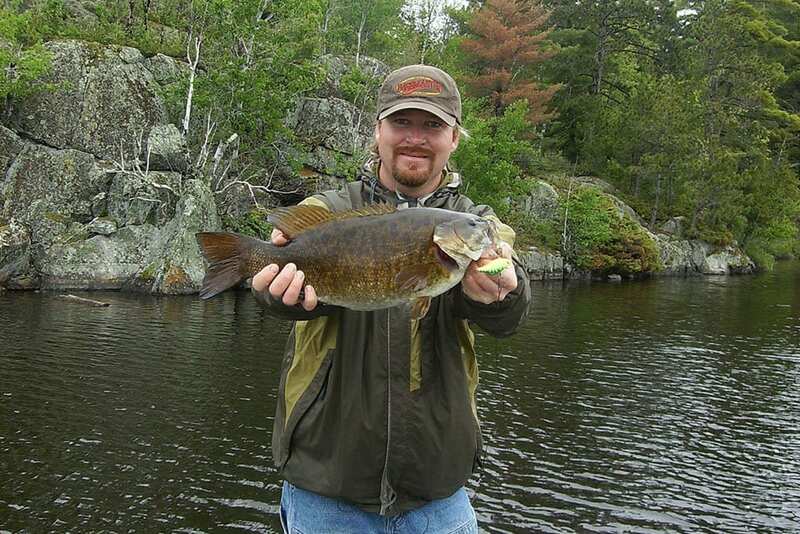 Northeastern Minnesota enjoys open a long season for both smallmouth and largemouth bass. Minnesota bass opener is May 11, 2019 and the season runs until February 23, 2020. Guests of Everett Bay Lodge who favor Largemouth Bass fishing enjoy the abundant nearby docks, lily pads, reeds and shallow points that hold fish all season.